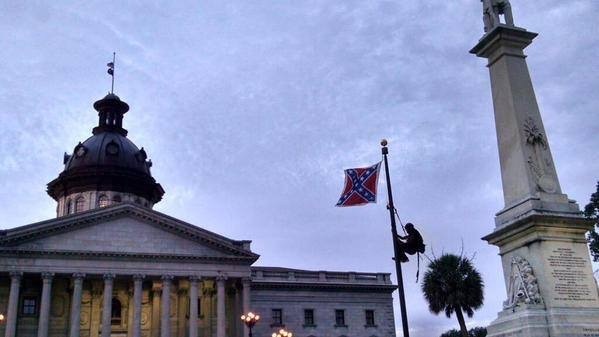 Bree Newsome (with support from local activists) scaled the flag pole in front of South Carolina’s courthouse in Charleston, and takes down the Confederate flag at dawn on June 27, 2015. She was immediately arrested. Try and tell me Black women don’t show up. Y’all all talked about it. She (with local support) did it. GLORY.